To discuss the predictable facts of a footballer’s life is exactly that: PREDICTABLE! Who is really interested in knowing that Lionel Messi was born 24 June 1987 in Rosario, Santa Fe Province, Argentina as Lionel Andrѐs Messi Cuccittini? Who wants to know that he is one of four children born to Jorge Horάcio Messi, a factory steel worker, and Celia Maria Cuccittini, a part-time cleaner? Is it really that interesting to know that he has two older brothers, Rodrigo and Matias, and a sister named Maria Sol? How relevant is it that his paternal great-grandfather, Angelo Messi, emigrated to Argentina in 1833 from the Italian city of Ancona? Does it matter that he shares a son, named Thiago, with Antonella Ruccuzzo? These facts, however “interesting”, are not quite appealing to the average football lover. Those who live for football, both fans, and critics, are more interested in the achievements and potential of their most beloved performers. They are motivated by the potential displayed by young and promising footballers. Football fans and critics are keen to see what players can bring to the pitch. Speed, versatility, skill, endurance, good sportsmanship, strategy, – are what interests football lovers. They want to see the performance of a well-rounded player whose passion for the game is evident in his performance. Lionel Messi is one such a player. Like most brilliant footballers, Messi started out young. At the playful age of five, when many young boys were energetically racing through hallways with their own version of The Fast and The Furious growing in their imaginations, Lionel Messi was beginning his astounding football career. Coached by his father, Messi began his journey at the local football club of Grandoli. In 1995, only three years later, Messi started to play for Newell’s Old Boys in the town of his birth. He became part of a youth team that only lost one match in the next four years. Locally, they were coined “The Machine of ‘87”, in honour of their birth year. Many would say this was clearly a sign that Messi was destined for greatness. Although it is clear to many that the 1.69m footballer, playing in the position of a forward, is somewhat “vertically challenged”. It is not, however, as clear as to why he lacks in that department. Diagnosed with a growth hormone deficiency at the age of eleven, doors were beginning to close in the face of this promising young player who still had much to prove. Despite the interest in his progress shown by a local club, River Plate, they were unwilling to pay for Messi’s monthly treatment of $900. Their reluctance opened one of the most important doors in Lionel Messi’s life, the door to FC Barcelona. The sporting director of FC Barcelona, Carles Rexach, was informed of Messi’s situation and more importantly of his potential. When Rexach discovered that Messi had relatives in Lleida in western Catalonia, Messi’s dad assisted him in arranging a trial with the club. A paper napkin contract, stating that the club would pay for all his medical bills on condition that he moves to Spain, was signed. Messi and his dad eagerly made the move to Spain and he was enrolled in the club’s youth academy. He spent part of his youth career at FC Barcelona, as well as his entire senior career signing contract upon contract. He wears the number 10 jersey which he received after the departure of Ronaldinho, one of the world’s greatest ever footballers. Despite the magnitude of Messi’s magnificence on the field, and the large variety of adjectives that could be used to describe his overall brilliance, one’s vocabulary is often limited to ‘greatest’, ‘youngest’, ‘first’, ‘all-time’, etc. Allow me to explain. 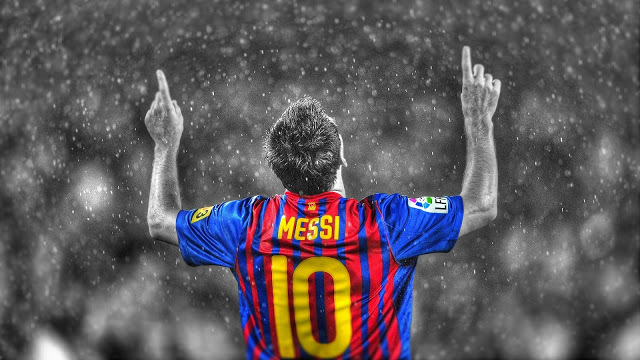 Lionel Messi is often referred to as the ‘greatest’ footballer of all time. After scoring five goals for FC Barcelona against Bayer Leverkusen, in the Champion’s League, Pep Guardiola called Messi the greatest ever footballer. Some might disagree and argue that Messi still has a lot to prove, but with the amount of records that he has already broken and the impact that has on international football, he is well on his way to becoming the greatest footballer of all time. At the age of 17, Messi became the third-youngest player ever to play for FC Barcelona and the club’s youngest player to play in La Liga. Messi is also the youngest player ever to score in a La Liga game for FC Barcelona. In addition to being the top scorer in the UEFA Champions League in the 2008-2009 season, he was also the youngest player in the tournament’s history. Messi was also the youngest player ever to have scored in El Classico. Apart from being the youngest player to score in this fixture, Messi also became the first player to score a hat-trick in El Classico since Ivάn Zamorana scored a hat-trick for Real Madrid in the 1994/95 season. On 21 December 2009, two days after scoring the winning goal in the final of the 2009 Club World Cup against Estudiantes, Messi became the first Argentine footballer to win the FIFA World Cup Player of the Year award. By achieving this award he beat runners-up Xavi, Andreas Iniesta, and life-long opposition Cristiano Ronaldo. Messi is also the first FC Barcelona player to score back-to-back hat-tricks. 6 April 2010 was the first time in his career that he scored four goals in a single match, after whacking Arsenal in a Champion’s League quarter-final second leg. He then became the competition’s top scorer for the second consecutive year. Messi is also the first footballer in history to win four Fifa Ballon d’Or awards, consecutively. He is also the first to win three European Golden Shoe Awards. At the age of 24, Messi became FC Barcelona’s all-time top scorer in all official club competitions. In November 2014, he became the all-time top scorer in La Liga and the all-time leading goalscorer in UEFA Champion’s League. He is the top-scorer in four consecutive Champion’s League seasons. He also holds the record for scoring the most hat-tricks in the Champions League, totaling five. Messi has used his time at FC Barcelona to win 6 La Ligas. At the time of writing, he’s won 2 Copas del Rey, 6 Supercopas de Espana, 3 UEFA Champion’s Leagues, 2 UEFA Super Cups, and 2 FIFA Club World Cups. Messi’s success continues in Argentina where he is the captain of the national football team. He holds a shared record, with Gabriel Batistuta, for the most goals scored in a year for the national team (a total of 12). He scored a goal at the FIFA World Cup Finals and became the youngest player to do so, at 18 years old. He holds the record for the most goals scored in International Friendlies, with a total of 24 goals. With a total of 10 goals, Messi holds the record for the most goals scored in one FIFA World Cup qualification in 2014. Furthermore, Messi played a critical role in the 2014 FIFA World Cup leading his national team to face Germany in the finals. Ironically, Messi holds more records in Spain than he does in his own country. Some say that it is his way of honouring them for granting him Spanish citizenship in 2006. Others say it’s merely a matter of time before he matches or equals it. Although Messi has still not managed to score against current English Premier League Champions, Chelsea, he remains an inspirational and well-respected footballer. A footballer of his caliber cannot be done justice by the use of the largest possible variety of adjectives. The magnitude of Messi’s magnificence simply cannot be measured. 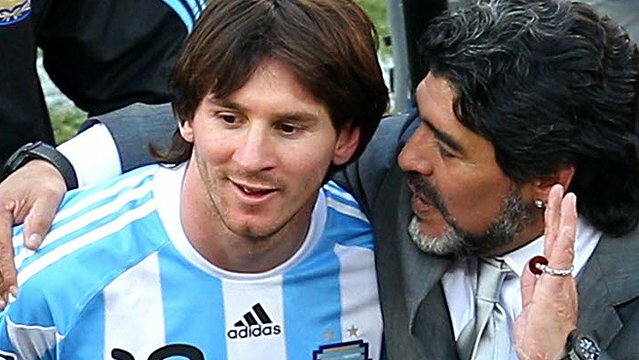 Messi’s style of football is often compared to that of the great Argentine footballer, Diego Maradona. Lionel Messi managed to somewhat replicate two of Maradona’s most famous goals in a single season. On 18 April 2007, Messi scored two goals in the Copa del Rey semi-final against Getafe CF. One of these goals was very similar to Maradona’s famous goal against England in the 1986 World Cup in Mexico. Messi ran the same distance, about 62 meters. He beat the same amount of players, six including the goalkeeper. He also ran towards the corner flag and scored from a similar position. Maradona’s “goal of the century” was re-enacted by Messi 21 years later. Later that season, in a game against RCD Espanyol, Messi threw himself towards the ball and consequently handled the ball past the goalkeeper. Many argued that this was a handball but the goal was rewarded anyway. This goal was similar to Maradona’s “hand of God” goal against England in a World Cup quarter-final match. In addition to being a brilliant footballer, Messi has a heart of gold. He uses his talent not just to leave the world completely astonished, but also to share it with us. In 2007, he started the Leo Messi Foundation which supports access to health care and education for vulnerable children. In response to Messi’s personal medical difficulties through childhood, the Leo Messi Foundation has offered Argentine children who are diagnosed with illnesses, treatment in Spain with funds covering transport, hospital and recuperation costs. The Leo Messi foundation is supported by Messi’s own fundraising activity with the additional assistance from 3rd parties. 11 March 2010, he was named as a goodwill ambassador for UNICEF. His activities are aimed at supporting children’s rights. FC Barcelona’s close ties with UNICEF and loyalty to their star player has led them to support Messi in this regard. Messi also funded the construction of a dormitory and a new gymnasium inside Newell’s stadium, his childhood club, for the club’s youth academy. In doing so, Messi has already started to open doors for his son. In March 2013, he donated a large sum of money towards the renovation of a children’s hospital in Rosario. This money paid for the renovation of the oncology unit at Victor J Vilela Children’s Hospital. It also paid for doctors to travel to Barcelona for training. In January 2015, Messi joined Serena Williams in a new campaign called 1 in 11. This represents the number of children worldwide who are unable to attend school. The campaign is supported by UNICEF, FC Barcelona Foundation, and Reach Out to Asia (ROTA). The campaign is aimed at helping children around the world to reach their potential through sport and education by raising funds for education programs. Apart from Messi’s excellent football talent, astonishing success and overall brilliance, he is a huge humanitarian. Having played alongside football heroes and being compared to some of the world’s greatest footballers, and even being in competition with some the greatest footballers, Lionel Messi is an All-in-One superstar.